Acne is a very common skin problem that shows up as outbreaks of bumps called pimples or zits. Acne usually appear on the face, neck, back, chest, and shoulders. It can be a source of emotional distress, and severe cases can lead to permanent acne scars. It affects more than 40 million Americans. That’s a 1 in 12 chance you are affected. 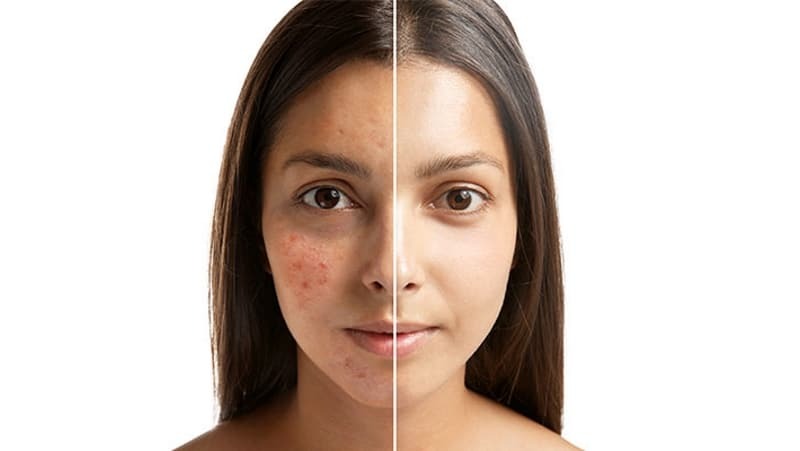 Acne is a rife skin disorder affecting any part of your body, most parts that have hair, this is generally where it begins and if not treated correctly can leave scarring. It is most common during the teen years but most experience it even beyond their adolescence years. It often presents itself as a large group of “zits” or pustules. Anyone can be at risk. Luckily, there are many options available for acne treatment. There are topical ointments that target the affected skin, there are pills which affect the amount of oil your body produces, and it can be mitigated by diet programs that avoid or target specific foods that decrease or increase your production of body oil that cause Acne. Any questions or concerns should be directed to a Board Certified Dermatologist. Acne can often be an overwhelming burden and can effect ones life, so take charge and get the confidence you deserve. Anyone at any age can get acne. For teenagers, it is very common because the surging hormone levels (androgens) associated with puberty create more active sebaceous glands. In adults it is also very common, especially among women. It is more likely to afflict people whose parents had acne. Almost all cases can be effectively treated. The goal of treatment is to heal existing lesions, stop new lesions from forming, and prevent scars. Topical retinoids (Differin, Epiduo, Retin A Micro, Tazorac, or tretinoin) help unclog sebaceous glands and keep skin pores open. Isotretinoin (Accutane) or hormonal agents, such as birth control pills, may be used to reduce sebum (oil) production. Whatever your treatment plan, it is important that you give it enough time to work. This may mean waiting 6 to 8 weeks to see results. While the older lesions are healing, the medication is hard at work keeping new lesions from forming. Staying on your medication is the most important step to getting your outbreaks under control. Clean skin gently – Use a mild skin cleanser twice a day, and pat skin dry. Harsh cleansers and astringents can actually worsen acne. Limit sun exposure – Tanning only masks acne at best. At worst, sun exposure can lead to skin damage, especially if you are using an acne treatment that makes your skin more sensitive to sunlight and UV rays (this includes tanning booths). Choose cosmetics with care – As mentioned above, choose non-greasy skin products, and look for words like “non-comedogenic,” “oil-free,” and “water-based.” Some facial products contain active acne-fighting ingredients, such as benzoyl peroxide or salicylic acid, to help keep mild acne at bay. Be patient with your treatment – Find out how much time it should take for your acne treatment to work (generally 6-8 weeks) and then stick with it. Stopping treatment early may prevent you from seeing good results or even cause a relapse of symptoms. Your skin may look worse before it begins to improve. You may need to try more than one type of treatment.